As a fitness trainer and sports therapist with over 20 years experience; meeting people with a history of back pain is incredibly common. Poor posture or ‘Office Back’ has a lot to do with most people’s chronic back pain. Sitting consistently for long periods of time can cause postural abnormalities and mechanical imbalances. This simply means certain muscles in the body stop working efficiently while others are working too hard ‘on over drive’. Imagine a stereo with two speakers attached. The brain represents the stereo and the speakers represent a pair of muscles (muscles create movement by working in pairs). Imagine turning the balance to favour one of the speakers… The volume would increase from that specific speaker while the other one would go silent. This is similar to how the brain favours certain pairs of muscles which causes imbalances and weaknesses, especially when we sit too much. When we have a sedentary lifestyle, our constant sitting causes the brain (the stereo) to adjust its balance (via the nervous system) to favour the muscles on the front of the body (otherwise known as the Anterior Chain Muscles). the muscles become tight and over-worked (or Hypertonic) while the nerve signals neglect the Posterior Chain muscles on the back on the body. This results in even more tightness, but now on weak, under-active muscles. 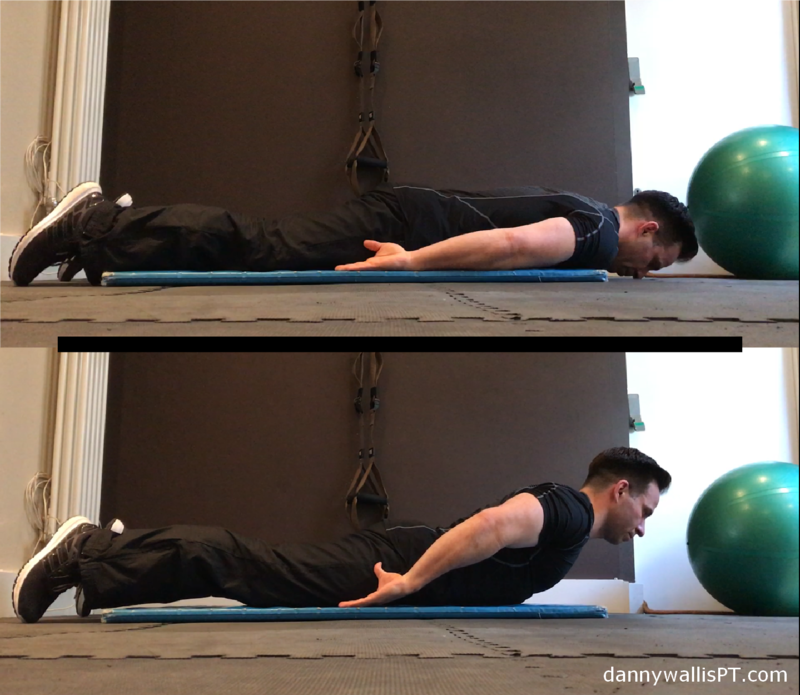 This scenario is called Reciprocal Inhibition = Lack of engagement in the posterior chain which causes weaknesses in the back, increasing risk of back pain and injury. 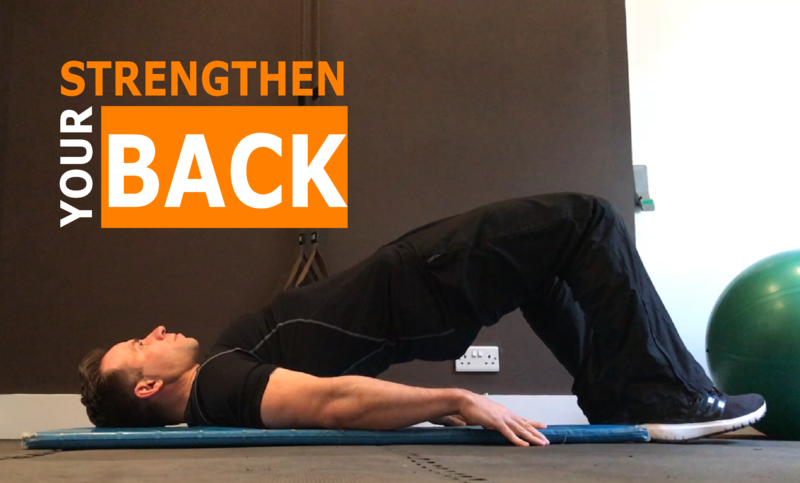 The four back strengthening exercises detailed below will help engage your posterior chain muscles, address your postural needs and start restoring an appropriate muscular balance to strengthen and support your spine. Return to your start position and repeat. PLEASE REMEMBER – If you have a serious back complaint or currently experiencing back pain, please seek the advice of a medical professional before attempting a new exercise programme. 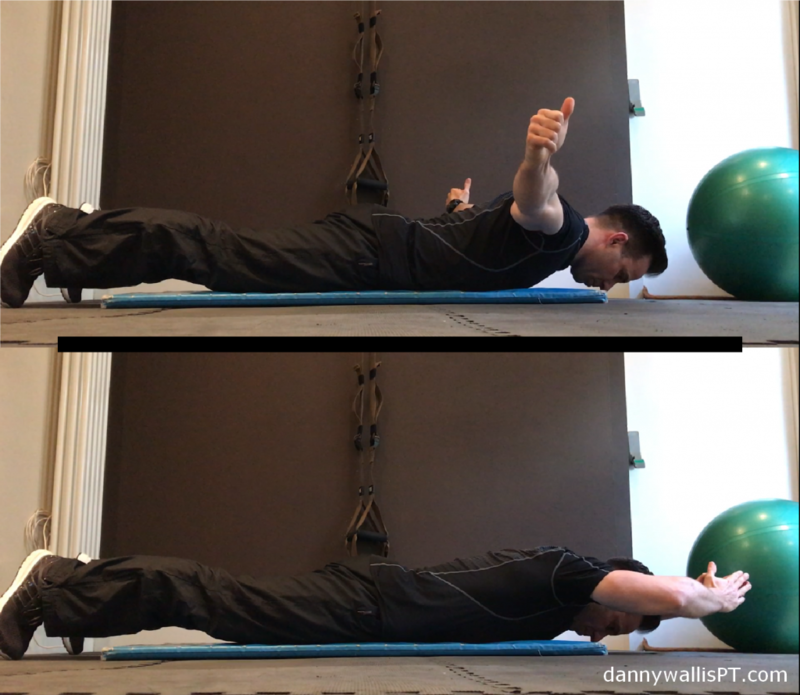 Aim to complete these exercises 3-4 times per week for maximum benefits. You can do them anywhere as there is no need for equipment or huge amounts of space. Just you, the floor and about ten minutes of your day. 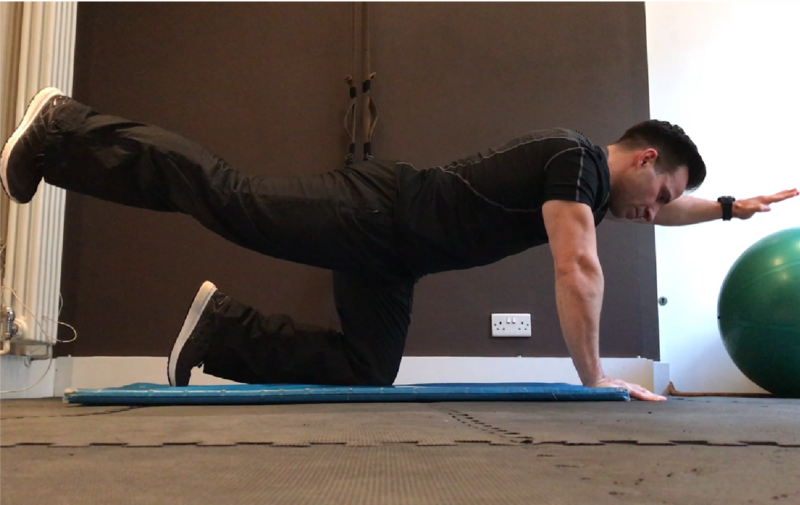 For even more exercise ideas, join me on my Facebook page to follow my Exercise of the Week every Friday and, if you enjoyed this article and found it useful, please do Subscribe via email to receive all my new posts emailed to you directly every Wednesday – Many Thanks!